Durable Chemical and Hazmat Tags come with a variety of wording to meet your needs. 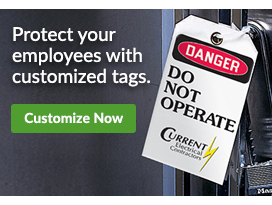 Choose from 1 sided or 2 sided tags with multiple material options available. Small to jumbo size tags are sold at Seton. Some even include free nylon ties. Chemical & HazMat Tags display pertinent information regarding the contents, status and inspection data for hazardous cylinders and other equipment. With Chemical & HazMat Tags, workers will be able to clearly identify various conditions of a particular cylinder or piece of equipment. Seton carries different types, including: Chemical Hazard Tags, Chemical Specific Hazard Alert, Right to Know (English/Spanish), Cylinder Status Indicated On Bottom Panel and a variety of other options.